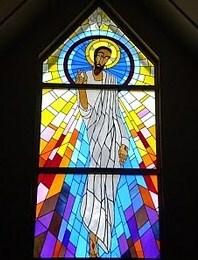 A sermon for the Lord’s Day, March 11, 2012, at First Presbyterian Church of Bridgeport, Texas. I love the church at Corinth because it explodes the myth that a house of worship is a museum for saints – a place where pious individuals come on Sunday morning to display their holiness and abide in sacred harmony. That is certainly not the picture we are given of the people whom the Apostle Paul identifies in the first chapter of Corinthians as those of us who are being saved. Rather, the people in this ancient community of believers reflect their city – a diverse place, a commercial hub that was home to all sorts of folks. Not many believers in those days were educated or sophisticated. In Corinth, some were rich, some were poor — various social statuses were represented. People who lived in Corinth were exposed to many religious lifestyles. This was a place where there was plenty of competition among religious practices – a church on every corner, if you will. So perhaps it should come as no surprise that when this diverse group came together, there were divisions. In fact, those of you who are concerned about disagreements in the church today or denominational disputes perhaps can take some heart in knowing this is nothing new – it is as old as Christianity, and older. The Apostle Paul, as we know, was no stranger to mixing it up with other church leaders himself – going toe to toe with Peter or assailing the Jerusalem branch of the church over the requirements for becoming a Jesus follower. Often we can more clearly see the need for unity and reconciliation among others than we can in our own lives. Recently I have become somewhat annoyed with the competing Christian claims on the lives of my children. Earlier this school semester, my third-grade daughter asked to attend an after-school program that was promoted as a fun time for kids. What was not advertised was the fact that it is put on by a local megachurch seeking conversions. I found out later that they had her out in a hallway at one point, asking her if she was ready to accept Jesus into her heart. I guess someone earned an extra notch on his belt! When she told me about it later, we had a conversation. I tried to explain to her that Jesus was already with her, that when she was baptized as a baby, God through Christ had already accepted her even before she was able to have knowledge of it. Then I began reflecting on other efforts by well-meaning people to “save” my children, essentially ignoring the religious teaching her mother and I work so hard to give them and substituting their own. This can be frustrating, and it makes me angry. This experience and others reinforced to me that in our context – where there is a Baptist church on every corner – Presbyterian kids need to be ready and able to articulate tenets of the Reformed faith and affirm that salvation is totally the province of God, not human decision. For it has been reported to me that there are quarrels among you, my brothers and sisters. What I mean is that each of you says, ‘I belong to Calvin, or I belong to Wesley, or I belong to Joel Osteen, or ‘I belong to Christ. Has Christ been divided? Was Luther crucified for you? Or were you baptized in the name of Billy Graham? Division is problematic in the Household of God whenever we allow it to become like a heavy fog that clouds over and covers that which unites us. So I had to reconsider my anger this week and think about whether I am remembering first what we have in common, instead of what divides. It happens so easily. I don’t know how many of you are Facebook people like I am, but it can be stunning yet predictable to watch a conversation between two people start on a high plain then descend into name-calling, often with the Bible used like a rock to bash the other’s head in. Usually partisan politics has something to do with this. When our beliefs are challenged, or when someone makes statements with which we disagree, how quickly we may forget that we are each made in the image of God, that Christ died for every one of us, that there are ties that bind and can never be broken. All our arguments, all our wisdom, pass away, but the love of God endures. Thomas Aquinas, a medieval philosopher-theologian who composed a mountain of influential works and constructed enormous theological treatises, supposedly said at the end, “All that I have written seems like straw to me.” Wisdom has its place. But the love of God is made known to us not through weighty arguments or scientific calculations but through the poor, the outcast, the despised, and ultimately through a shameful public execution on a Roman cross. Through Christ, we are being saved, and there is hope – even for the perishing. At singer Whitney Houston’s funeral recently, Bishop T.D. Jakes rose to say a few words. He told the grieving family that, at times like this, it seems like death has won. The Bible, however, tells us that love is stronger than death. When Cain killed Abel, it seemed like death had won. Noah survived the flood. Still he died. All the great prophets, no matter how close they were to God, they all died. It seemed like death had won. Great thinkers, businesspeople, politicians, world-changers, astronauts, scientists, they all died. Two thousand years ago, when Jesus was nailed to the cross, it seemed like death had one again. But Jesus emerged from the tomb, and love took the sting out of death and proclaimed victory over the grave. And so we plod ahead on our Lenten journey, searching for a way through the wilderness, the bright hope of Easter morning ahead of us and now beginning to come within view. Often, in our world, it seems like division has won. Countries are at war with each other or from within. Innocent people are persecuted while brutal dictators do everything at their disposal to remain in power. And what about the divisions that plague our own minds, the things from the past that tend to hold onto us, that we cannot let go, the things that keep us from moving forward. We are divided in many ways — by race, culture, aspirations, lifestyle. How quickly in our personal lives can we forget who we are, and whose we are. Yet even in the midst of chaos, we are being saved. Nothing that divides us in this world is stronger than the divine love that claims us as God’s own. Anger, division, separation and death make convincing cases for superiority. But is a lie, every time. Paul reminds us in Romans that we are more than conquerors through him who loved us. Neither death, nor life, nor angels, nor rulers, nor things present, nor things to come, nor powers, nor height, nor depth, nor anything else in all creation, will be able to separate us from the love of God in Christ Jesus our Lord. Thanks be to God for the foolishness of the cross, and a love that was in the beginning, will sustain us through all our days, and meet us at the end. Amen. ← Godless member of the MSM tells all!